HanS Tech is a full-service provider of solutions and sourcing for OEM packaging, printing, cosmetics & beauty accessories, bath products and consumer electronics. 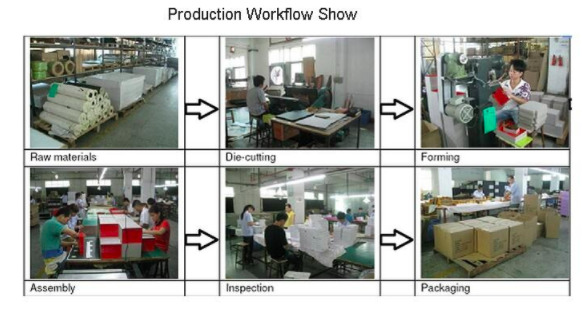 HanS's team of experts take away the worry of getting a product to market by managing the entire process from concept to delivery, including: Product development, contract manufacturing, quality control and distribution. Our company is committed to provide external customers with top-ranking products and satisfying services. Oriented by customers' Demands, our company will effectively promote technical development and style design, and win mutual benefits with customers. With complete management team, professional design team, most advanced packaging facilities, provide one stop packaging solutions for every customer. We're pleased to get your Inquiry and we will come back to as soon as possible. We stick to the principle of "quality first, service first, continuous improvement and innovation to meet the customers" for the management and "zero defect, zero complaints" as the quality objective. As we continue to grow, we would be honored to count you among our family of satisfied customers. > 100% Factory Located in GuangDong, China. Lower Price Guarantee! > More than 5 years printing and packaging OEM experience. Professional! > Our Certificates: ISO9001, SGS, SCF, etc. High Quality Guarantee! > Most advanced printing machines from Germany and Japn. High Efficiency! > Offices and showrooms in GuangDong City and in U.S.. Good logistics and service! Company Name: DongGuan HanS Packaging Technology Co., Ltd.